There are a wide variety of job injuries and it always amazes me the different types of jobs there are out there that people have to do each day. 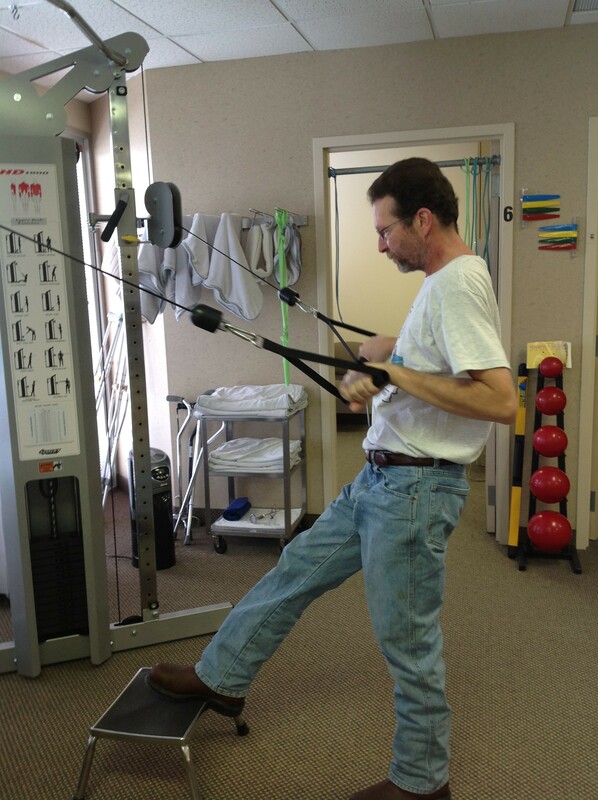 As an Occupational Health Therapist, I am learning each day what physical demands are placed on the body daily. From light repetitive tasks to very heavy physically demanding tasks that also can be repetitive. For example in the photo, this gentleman has to be able to use a barrel dolly in order to lift barrels of chemicals that could weigh 700-800 lbs. 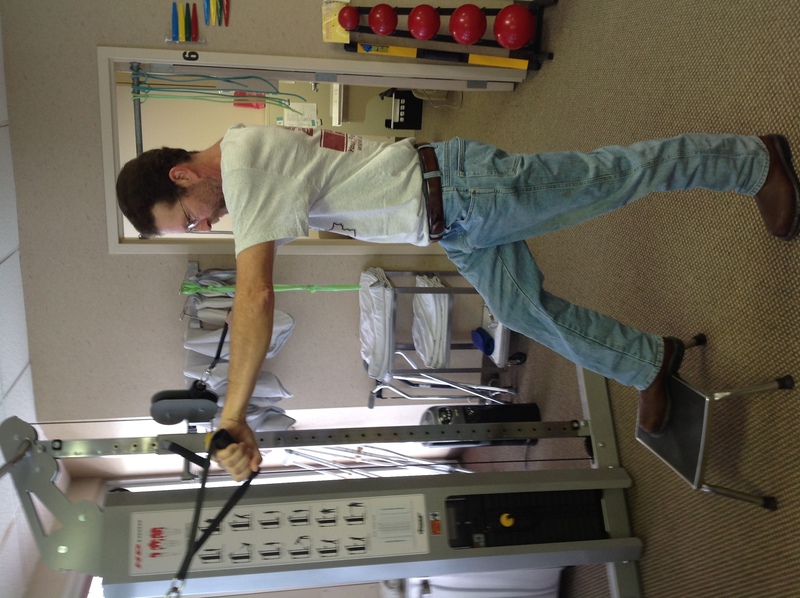 The fun part of my job is coming up with ways at our Forest Lake clinic to simulate that particular task in order to help restore the strength while performing that job demand. Here we used our weight machines to simulate the load and forces required to pull the barrel dolly along with the stool to simulate one foot being up on the edge of the dolly while pulling with his arms. We have come up with many job related activities just within our clinic in order to simulate a multitude of job descriptions. This is part of the work conditioning program we have within OSI. 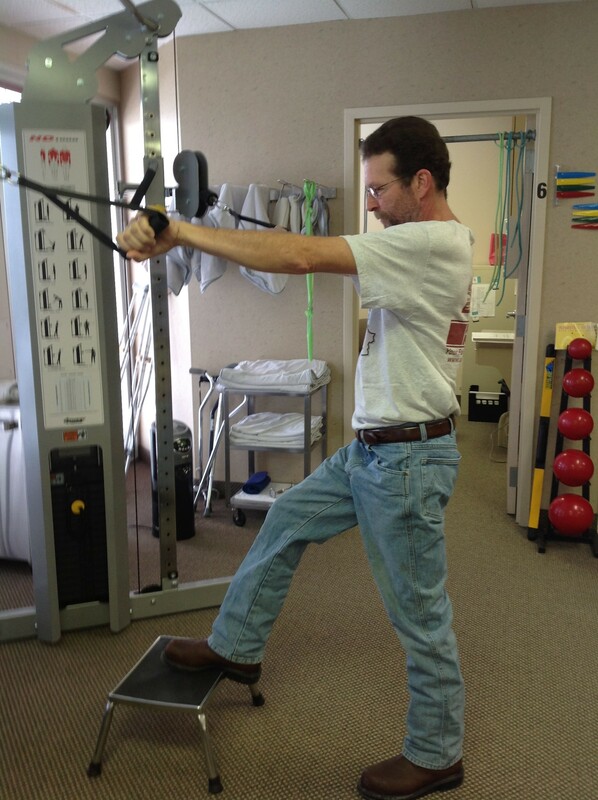 It is a daily 2+hour training program designed to help individuals in return to work for a specific job or increase the injured worker’s overall functional capacity. That is the most fun part of the job. After interviewing the client about their job duties and sometimes reviewing a job description from the company we are able to use our creativity within the clinic to simulate the tasks the worker will have to do when they return. Some examples of jobs may be firefighters, plumbers, mechanics, carpenters, delivery workers of all kinds and manufacturing jobs just to name a small portion of clients we work with each day. Occ Health of OSI also helps with job coaching on the job site in order to help with ergonomic recommendations and exercises tailored to their injury. We also perform Functional testing and Functional Capacity Assessments which provide objective information for determining functional abilities of individuals. We also work with various employers in their Employee Wellness programs to help minimize injuries that may occur on or off the job and help keep people working. If you or someone you know could use a hand getting back on the job send me an email at tkasprowicz@osipt.com.